The process of fermenting foods has been around for thousands of years. 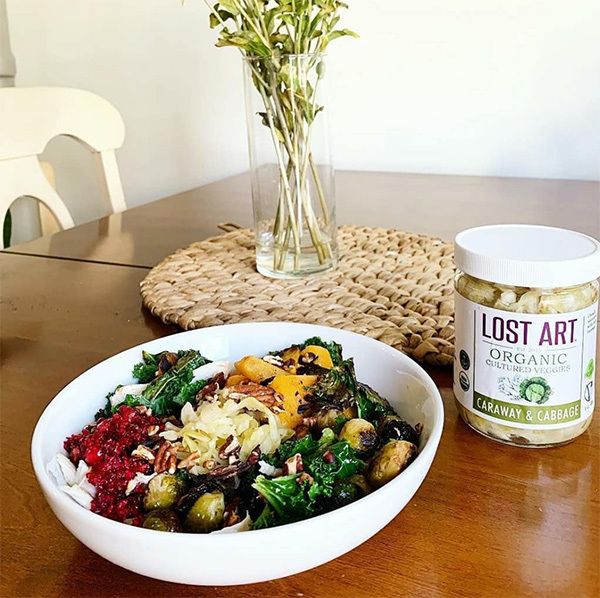 Kaylyn Keane’s Lost Art Cultured Foods details a delicious way to incorporate beneficial live cultures into the everyday diet. 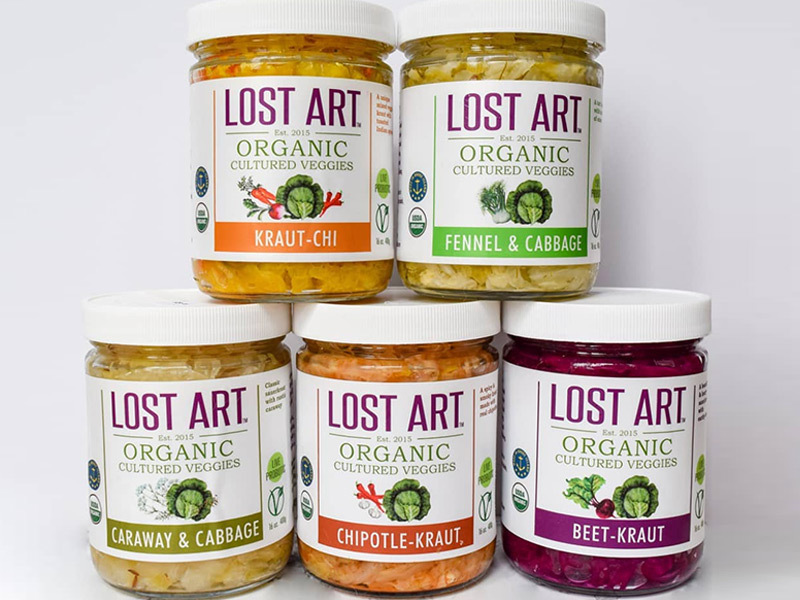 So far, Lost Art Cultured Foods makes five distinct flavors of Kraut. Caraway and Cabbage is a traditional sauerkraut with hints of rustic caraway. Recipe idea: try on a Reuben! 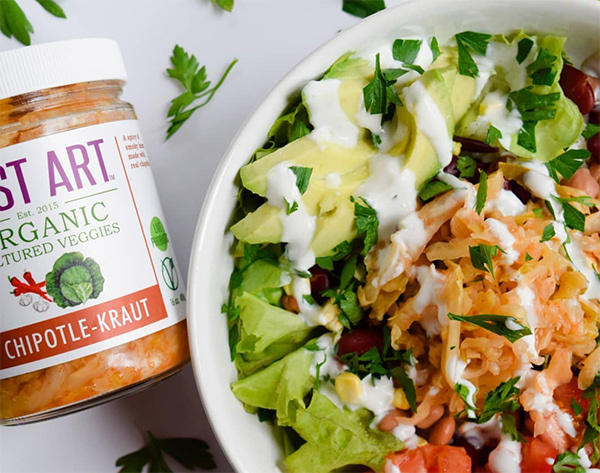 Kraut-Chi is a unique mixture of veggies with turmeric and toasted Indian spices. It’s delicious on fish tacos. 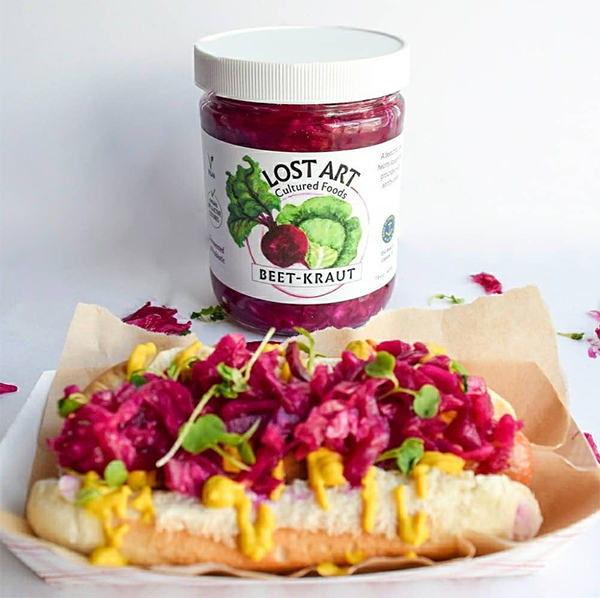 Beet Kraut is a beautiful and hearty sauerkraut made with earthy local beets. Try a forkful on top a spinach salad with goat cheese. Chipotle Kruat, the newest flavor, includes ground chipotle and fresh jalapeno chiles. This is the perfect topping to any Mexican fare. Fennel and Cabbage is a not to-be-missed flavor available annually from June to November. It’s a tart sauerkraut with whole fennel and toasted fennel seed. 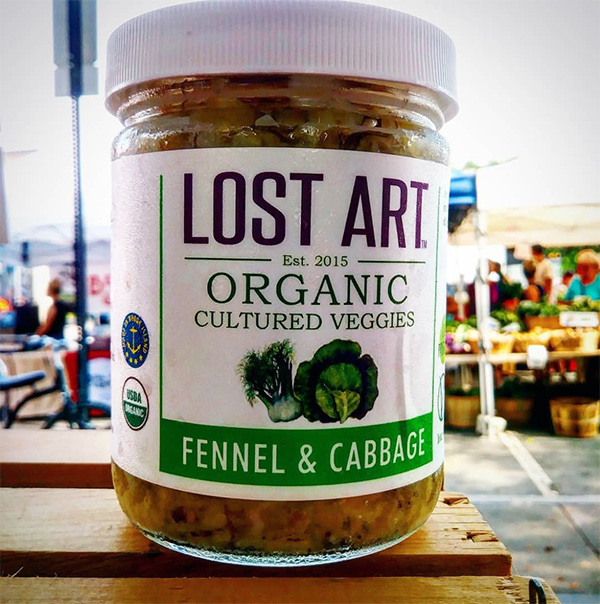 Lost Art reaches wholesale buyers like fine retailers across Rhode Island and the Boston-metro area with help from our Market Mobile wholesale distribution service. Kaylyn also sells her products at local farmers markets, including our Wintertime Farmers Market in Pawtucket. 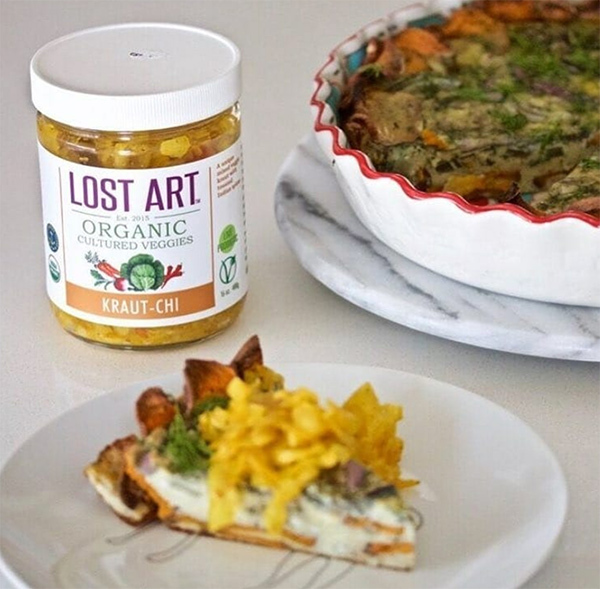 Photos courtesy Lost Art Cultured Foods on Instagram. Danielle Woodward is a self-described locavore. She enjoys culinary adventures around Rhode Island and beyond.